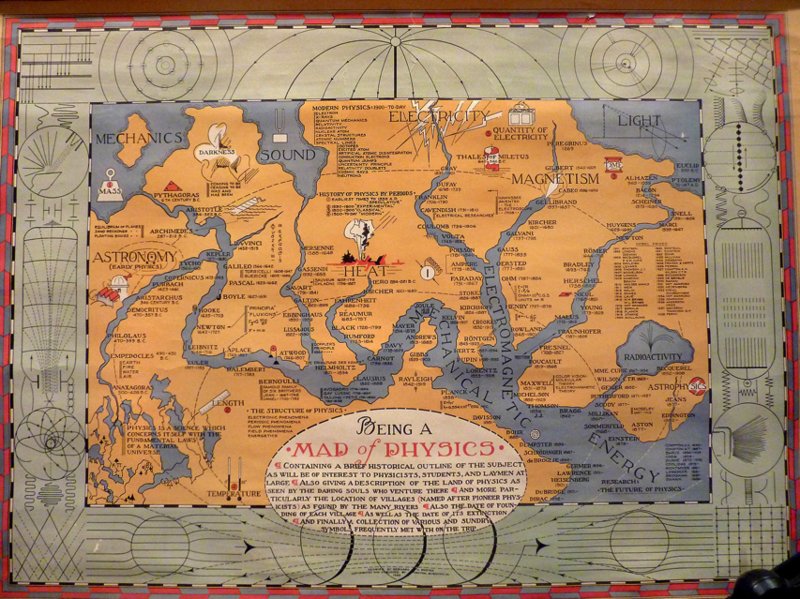 1939 Map of Physics as a Continent #ArtTuesday « Adafruit Industries – Makers, hackers, artists, designers and engineers! Thomas B. Greenslade, emeritus physics professor at Kenyon College in Gambier, Ohio, USA, has amassed (both physically and virtually) a fascinating and expertly curated collection of old physics teaching equipment. Among my favorite items are Bernard H. Porter’s 1939 map depicting Physics as a continent, with rivers corresponding to its principal branches.